I would say it is for you if you resonate deeply with occurrences and characteristics described in the Realms of the Earth Angels, or if you are strongly drawn to this topic. If it rings true – it is! The more research I do on the subject, the more I am fascinated by its implications and possibilities. It’s like seeing myself in a mirror for the very first time and finally understanding things that seemingly defy a logical three-dimensional explanation. I must say that I know many people who display clear earth angel characteristics. Some of them are in the spiritual/metaphysical community and some are fellow authors. Quite a few are at the forefront of change through Social Media, their books, art, or other work. We live in very exciting times and this is a relatively recent phenomenon. 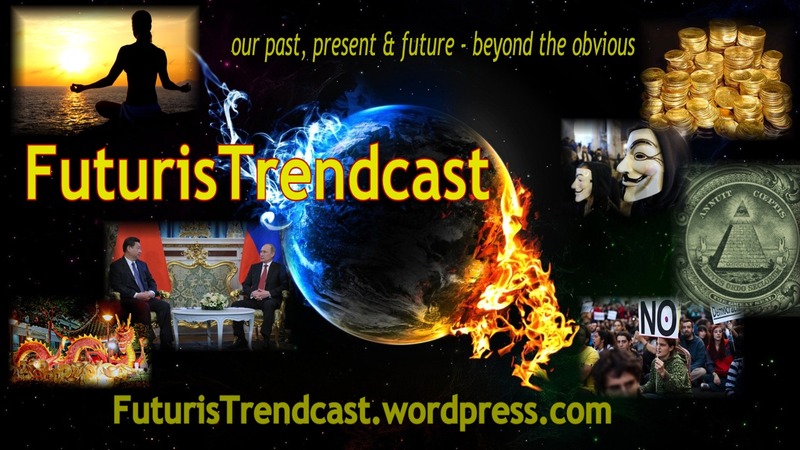 At this time, many advanced souls have incarnated on Planet Earth specifically to facilitate the Earth Shift we are going through and in order to save the planet from the madness of humans. Doreen Virtue is very brave to come out with this book, and her popularity helps draw attention to this convoluted, and often misunderstood, issue. I would say that the topic of Starseeds, or Starpeople, as Doreen Virtue calls them, deserves a separate book. I do not believe Doreen has done it justice in the Realms of the Earth Angels. There is much more information one can find about Starseeds from other sources. That said, I give the Realms of the Earth Angels five enthusiastic stars for the overall delivery, awesome information and for summarizing the research that is so important to so many of us. I’ve been a long-time researcher and teacher of all things metaphysical and spiritual. I am also the author of visionary/metaphysical fantasies, including the top-rated THE EARTH SHIFTER and CATHARSIS, Legend of the Lemurians. Being spiritual and scientifically-minded, but non-religious in a traditional sense, I initially found the “angel” topic a bit far out for my taste. However, I was impressed with the accuracy of Doreen Virtue’s Archangel Oracle Cards. I have also recently started seriously researching the Starseeds, Indigos and Earth Angel phenomenon because I felt tremendously drawn to this subject. After all my research and after reading Doreen’s book, I realized that not only I saw myself in the mirror, but also that I’ve described different kinds of earth angels in my books without even realizing it (especially The Earth Shifter, Catharsis, Legend of the Lemurians, and partially, Accidental Spy series: Gold Train, Stepford USA, Green Desert)! My only criticism is that the book is way too short. I wish it covered more characteristics, more in-depth research, and perhaps, more examples. Some earth angel realms seem to be rushed or tentative, while others are given a lot of prime time. I realize that the research is ongoing and more data will be surfacing as more discoveries are made. I am incredibly excited about discovering more earth angel realms – after having read the whole book in one go twice(! ), I feel very deeply that there are definitely more realms than mentioned in the book, and it appears I’ve discovered one of them already! Once I polish up my new realm, I’ll get back to you all on that! 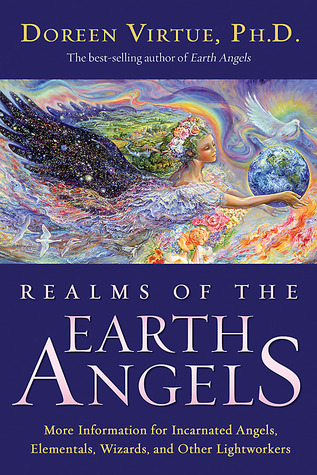 Realms of the Earth Angels is the second, expanded and modified edition of the original Earth Angels. Comparing between the two, get this updated version as it covers more characteristics and includes additional updated research! I have to commend Doreen Virtue (and Hay House) on coming out with this book and on her dedication to this important, but neglected and misunderstood, subject. This is an exquisite and beautifully written revelation of a book! If you feel the affinity with the earth angel subject, or are just curious to find out more, get it, read it – you’ll love it! Do you recognize yourself in any of the book’s categories? Let me know in the comment section! Read related novelette CATHARSIS (Legend of the Lemurians) #FREE! Wow, Lada, i must say, thank you so much for sharing your review with us and recommending this amazing book! I’m myself all over this subject right now! I’ll definitely read it as well soon! Have you heard of Dolores Cannon and the Three Waves of Volunteers? She has some interesting material too, which also explains a lot. I’m going to post a few of her vids on my blog soon. Fascinating stuff! Coming soon – stay tuned! I am presently developing my own teaching – soon will have videos on related topics, workshops are coming too. Stay tuned! Thank you for sharing Doreen’s book. You can’t go wrong with Hay House. I’ve been a seeker for most of my life, but really started seriously studying with some of the best teachers around 1987 and on. There is so much more spiritual literature out there than when I began. And, I think that you’ll find many more people open today. I liked your “aha” moment and your feeling that you already knew much of the information she shared — she just reminded you. Like you I always run everything through my inner filter and ponder it a bit. If it resonates deeply, than I know what is true for me. Look forward to eventually reading your books on Lemuria and Atlantis! I did finish Gold Train and I fell in love with it so much, that I ordered Stepford USA. I am anxious to read Stepford, but have some MG novels to read and review. Will “Green” ever be in paperback? We have so much in common – it’s amazing! And you’re right – you can’t go wrong with Hay House. Green Desert is just a novelette, 12,000 words long, although it packs a big message. Because of that, I wasn’t planning on releasing it in paperback format -sorry. I know what you mean, I also prefer the feel of a real book. But the good news is that Green Desert is now available FREE everywhere as ebook! So, you can download it not only on Smash, but even on Amazon, which price matched it. Oh yes, it is also free now as ebook on your – and my – favorite B&N! All buy links are here: https://ladaray.wordpress.com/lada-ray-books/accidental-spy-adventures/ (scroll down to Green Desert). Also, just to mention, if you enjoyed Gold Train, you’ll most definitely love The Earth Shifter. There is much more interesting stuff in there about Russia. In addition, it is VERY spiritual/metaphysical. Plus, if you like conspiracies, there is a very intense conspiracy brewing in there as well, which as always, is based on true events. It’s a YA crossover and intended for a wide audience. Paperback is currently available on Amazon, but it’s coming to B&N very soon! If you prefer author signed books, I’ll eventually be offering signed paperbacks via my website. I know you have a lot of reading to do, but if you like this idea, and if you are eventually interested in The Earth Shifter, please let me know. Oh, I plan to read Earth Shifter. I wanted to read the first series because I’m hooked. Gold Train was a page turner. I read at night and I’d tell myself I’ll stop at the end of the chapter, but then something would happen and I’d want to know more and would keep reading into the night. LOL. You’re good! What a precious testimonial – thank you so much, Patricia. I have to say, I was hooked myself while writing Gold Train. 😉 No, this is not a joke – I really wanted to know what would happen next, LOL. I think you’ll find Stepford a bit different – it’s a Small Town USA adventure after all – but similar in a way, too. BTW, a post about Berkshires, MA, where Stepford USA is set, is coming up next on my blog.